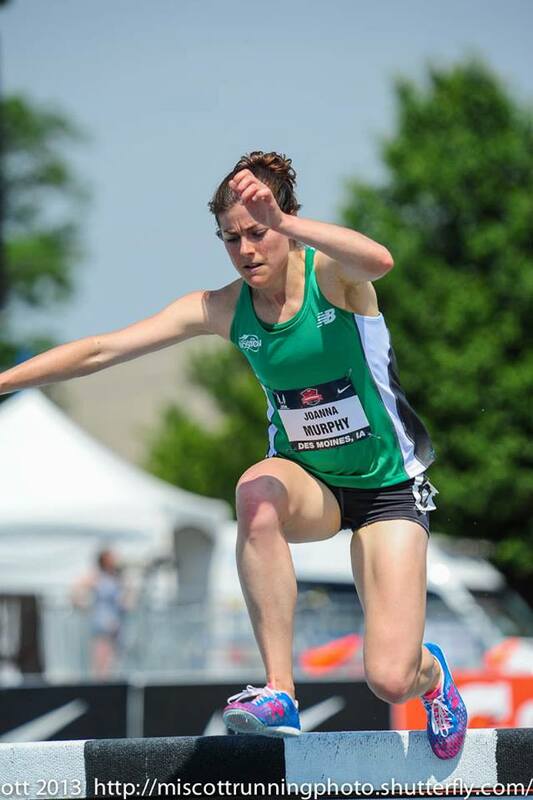 We are so proud to introduce our new SMACKANISTA Joanna Murphy, based in Boston, MA, who brings her extensive marketing background in the running world, competitive drive and zest for life to our team! You can read her full SMACK! Media bio here, but read on to meet Joanna in her own words! Most recently I was working part time for a small advertising agency called Savoir Faire Marketing/Communications. Much of my career, however, was spent on the eCommerce and Product teams at Puma and Adidas. I first heard of SMACK! when working with Sergio (Morgan’s husband, but boyfriend at the time)! He probably doesn’t even remember this, but we worked together during The Running Event in December of 2012 and he was telling me about his (awesome and amazing) girlfriend (at the time – we all know how that story ended! ), and mentioned that she worked for a Marketing and PR agency called SMACK! Media. I went home and googled it and thought to myself, “Wow, I would love to work for a company like that.” No joke – That actually happened. Joining SMACK! Media is not just a job, its an opportunity to be a part of an incredibly motivated and caring team of women (SMACKANISTAS). What does being a SMACKANISTA mean to you? To me, being a SMACKANISTA means being a “game changer.” I think all of us carry that same energy we have in our athletic endeavors into our work with our drive and passion. But the SMACKANISTAS are also a team, and the feeling of all of us working together towards common goals gives a context for our motivation that is really powerful. Your thoughts on working with a team of all women at SMACK!? Well, being a woman myself, I’m biased in thinking that women should rule the world. So it makes sense that in attempting to rule the world, one would team up in order to “divide and conquer”…just kidding (sort of). I don’t see us as a team of all women, rather, I see us as a team of athletes and professionals who are smart, creative and inspiring, and I’m awfully proud to be on that team. 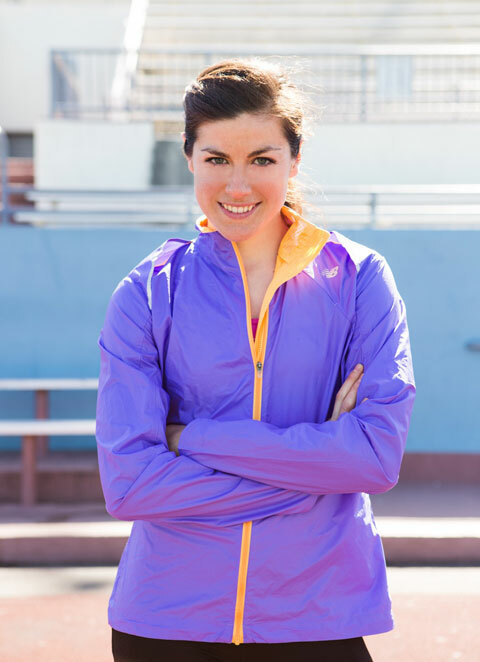 You are a professional runner for New Balance Boston—talk a bit about balancing your running and professional goals and how the two enhance each other. So much of running success comes from the long term consistency of building training week after training week. Laying that solid foundation takes patience, of which I tend to have little. Having work projects and the mental stimulation of a professional career helps balance me out, and keeps me from getting too antsy. Plus, one of the things that I love about the sport of running is how much self reflection and personal drive it requires. To be good at running you really have to be willing to seek the edge of your personal capability and find a way to push beyond it. Welcoming this and making it a long term practice brings so many lessons and insight that can be applied to all aspects of life. I love finding those parallels and applying myself in different ways. Tell us a bit about your team, coach and training environment at NB Boston? I initially joined New Balance Boston when I first returned to competitive running after a hiatus in the spring of 2011. NBB is a club team that meets for track workouts a couple nights per week. The group provided a great environment for me to come back to competition and brought consistency and regularity to developing my fitness after a couple years away from the sport. In the last year, however, I’ve been desiring more structure on a day to day basis, and have been seeking an ideal environment to really take my running to the next level. New Balance just recently formed a professional women’s team, headed up by Mark Coogan in Boston, and I transitioned to this group in September. 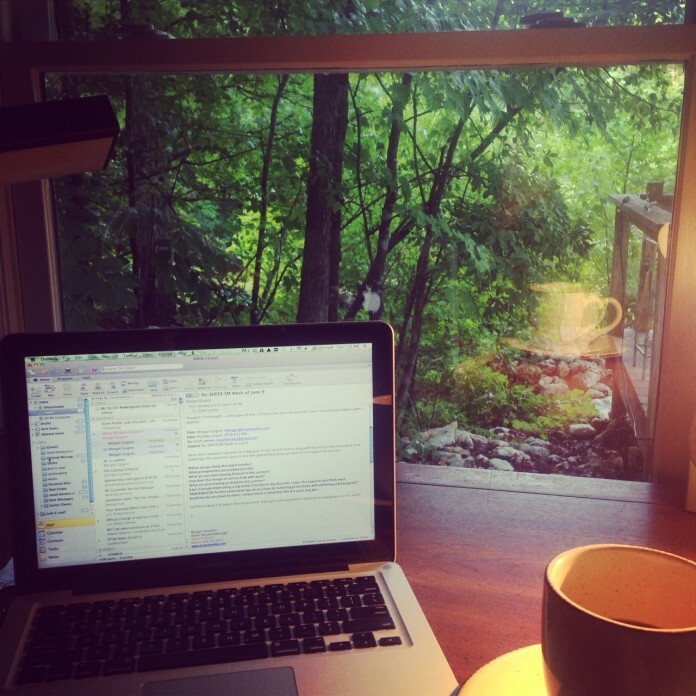 We typically meet most mornings at various locations in the greater Boston area. Being a part of this group has been wonderful; I’ve really enjoyed the consistency of daily practice and having a great group of women to share the process with. What is your current training focus? I was injured last spring, so this fall I am focusing on building a good, solid aerobic base (more of that patience stuff…). 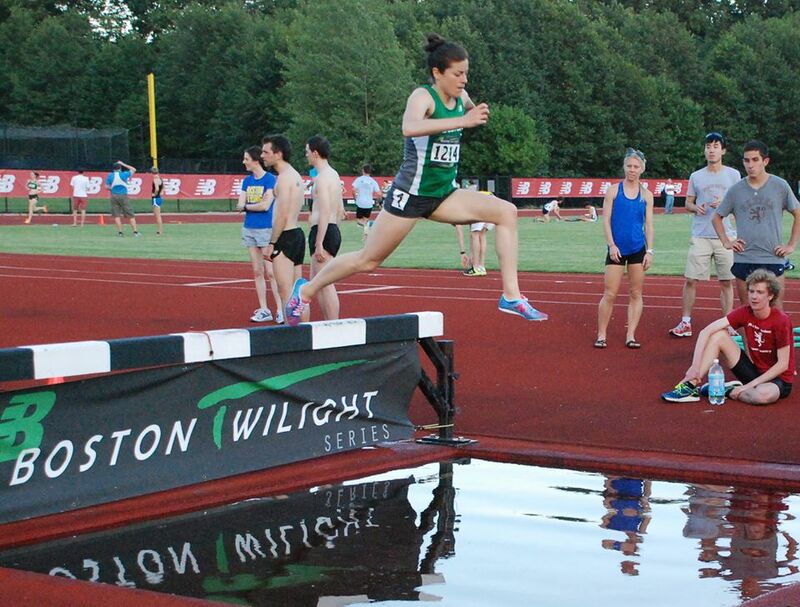 My focus for 2015 will be on performing well in the 3000m Steeplechase at the USA Outdoor Championships in June. What is your favorite racing event and workout? Favorite Event: The mile or the 1500. It’s so fast and fun! 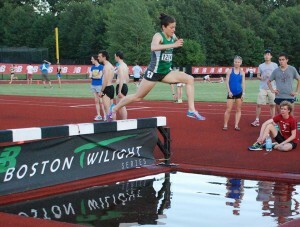 The steeple is a pretty good event, too! 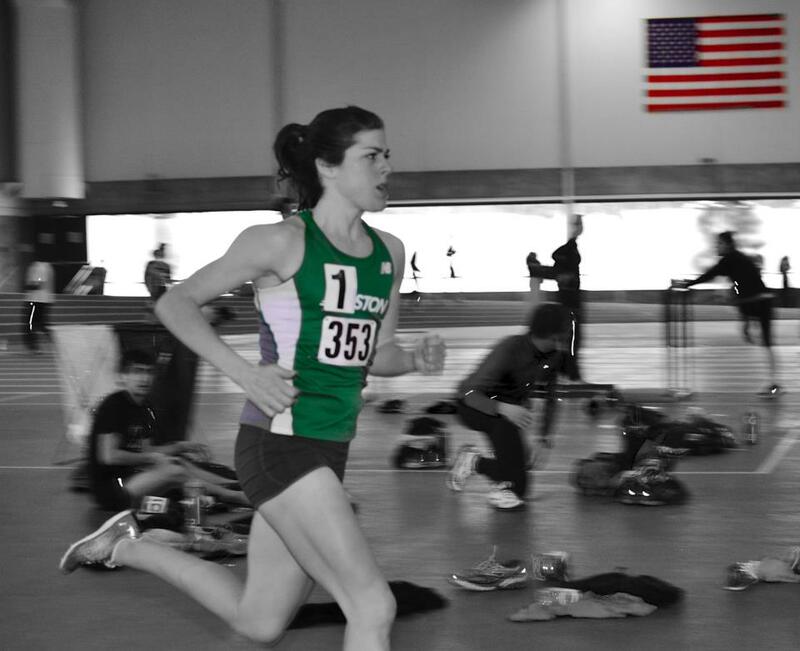 Favorite workout: Fast 400s or 300s at mile race pace. You make us drool with your Instagram food creations, what’s the best kitchen concoction you’ve made recently? Want to spill the recipe? To be honest, I don’t like recipes and never follow them. I usually make things up on the fly depending on what’s in my fridge. 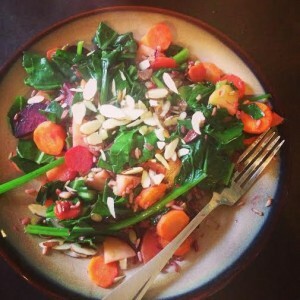 I love baking meat and veggies together, and love anything spicy. The best concoction I’ve made recently is probably a curried butternut squash soup – I just bake some squashes, mash them in a pot with chicken broth and sauteed leeks, boil together for a bit, then add coconut milk and curry powder. Sometimes I’ll add kale or apples. Also, sometimes I don’t have enough squash, so I’ll do what I call a “orange veggie medley” – pumpkins, sweet potatoes and squash…it really doesn’t matter because the coconut milk and curry powder cover up any “squash inconsistencies”! I’m sure people like me drive professional chefs crazy! Ha Ha. Sleeping and eating are my two main forms of entertainment outside of work and running! I do love exploring Boston and trying new coffee shops and restaurants. 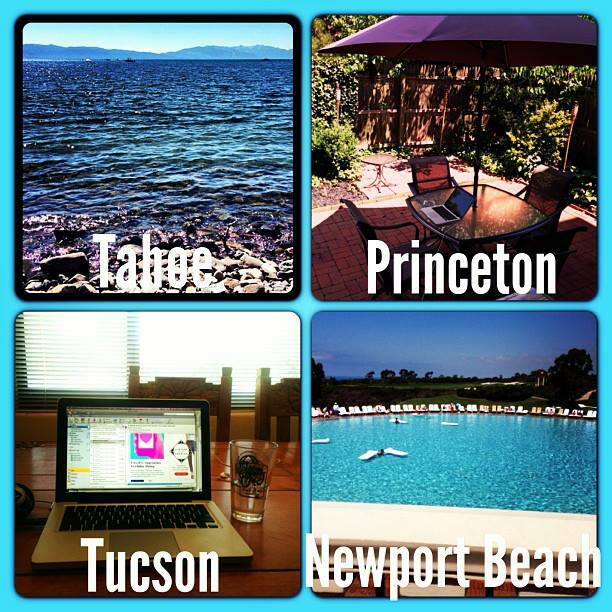 I also love to travel, which I get to do a fair amount of during race season. You have some super interesting stories about your upbringing and life before running. Can you elaborate a bit? 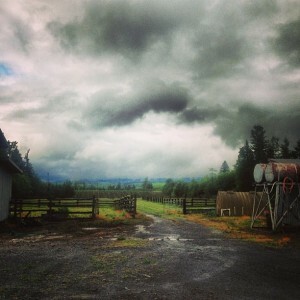 I grew up in rural Washington State on a Christmas Tree farm. I was home-schooled until middle school and didn’t have a TV until my senior year in high school. While this came with great perks, like learning how to can things, great fence-building skills and an ability to pack 5-gallon water buckets like a champ, it makes me pretty worthless at the pop culture sections of Trivia games. My family was really into horseback riding. I started riding at age 3. My aunt and uncle traveled around competing at different rodeos, so I started competing in barrel racing when I was young. But I always wanted to compete in jumping, so instead of practicing barrel racing patterns, I would knock them over and jump over them. Eventually my mom caught on and enrolled me in Pony Club – a riding club for jumpers. 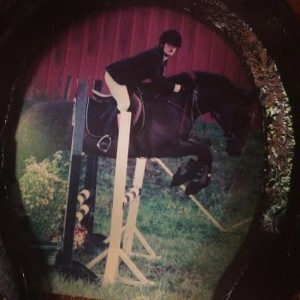 I fell in love with it and began competing in 3-Day Eventing shows, which are 3 day long competitions where a different event is on each day and your score is an average of each event’s score. Three day eventing was originally created as training for mounted enforcement back in the day. Now it’s an Olympic event that tests the all-around athleticism of the horse. Ironically, the training is very similar to what I do now, except now I’m the one that’s running the workouts instead of the horse…interesting karma there…My favorite event, cross-country, takes place in a field – the jumps are logs, ditches, and natural looking jumps. It’s a timed event, so you’re riding as fast as you can while jumping over ridiculous things (and points are docked for missing jumps, or need to retry a jump). It is essentially a tough mudder for horses! We are excited to work together and cheer Joanna on, along with the entire SMACK! Media team, towards professional, personal and athletic success!